Harry Skinner Surveys is a family run practice established in 1979. Specialists in GPS, topographic surveys, geodetic networks, digital design, ground modelling, control and monitoring surveys. We have provided a wide range of surveying services throughout the UK and overseas over the past twenty years, with particular emphasis on the Civil Engineering Industry. More recently, the last five years has seen us gain specialist experience of contracts in the Caribbean and West Africa. We are regular providers of surveying services to the Environment Agency, providing land and GPS surveys including floodplain, threshold, monitoring, topographic and river channel surveys. 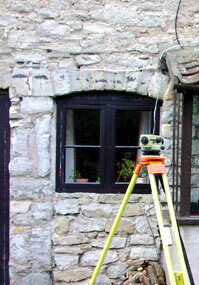 Users of Leica survey equipment and Key Systems Land and Coastal software. Security cleared for work on UK Ministry Of Defence sites.